This welcome sign has the name of your favorite lake, river or bay. 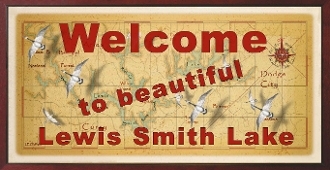 The background of this unique welcome sign is an actual map of your favorite Lake, River or Bay and the frame is included. The sign is 10x20 and printed on fine paper using archival inks. FIRST, ensure that we have your waterway in stock, please go to the home page, and click "MAP- Lakes, Rivers & Bays," then click "map size 10x20" and find your lake. If it is located here, then we can print it! 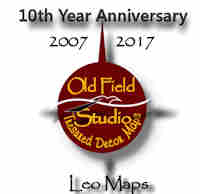 If your map is not in this section, please email us at: ofsart@gmail.com. Leo Lake maps are unique and distinctive. 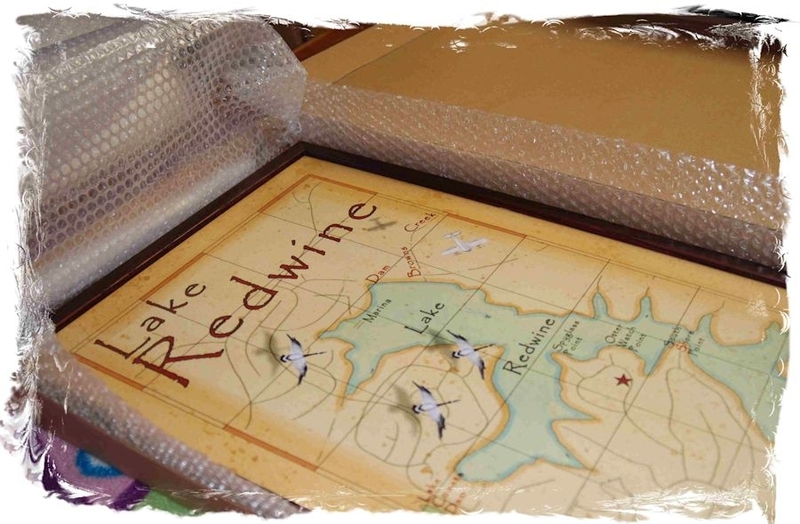 Each map has the signature Ruby Red Meridian, Beautiful Waterfowl, and Vintage Plane. A Certificate of Authenticity is included with each print which tells the story of each symbol. 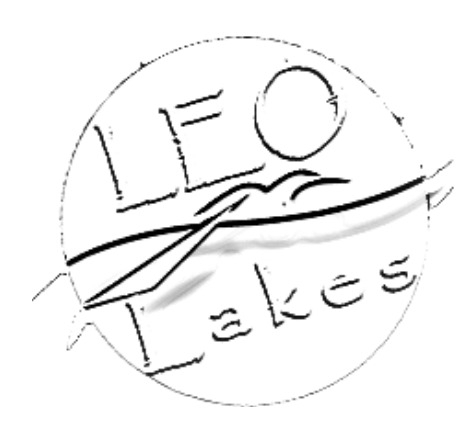 To find out more go to the "Leo Lakes Maps Facts tab" on left on page. If we don't have your lake, we can paint a custom painting of your treasured paradise. 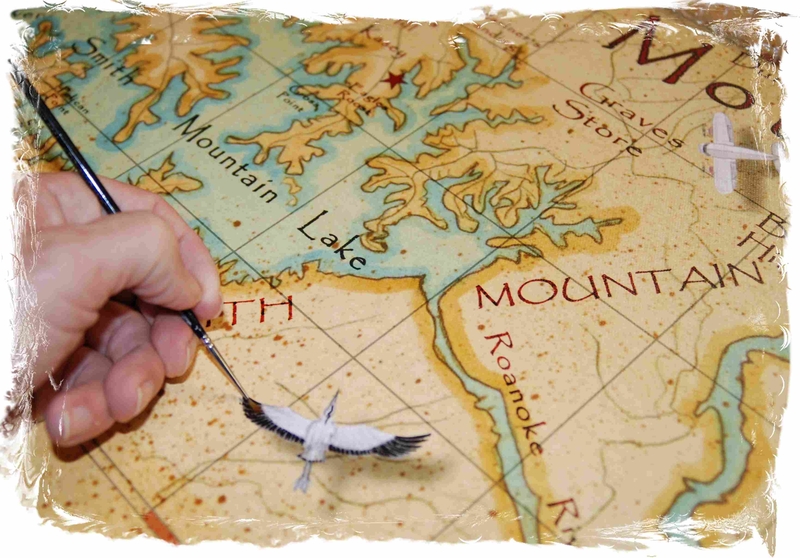 Leo Lake Maps make a great gift for the lake house owner, lake lover or fisherman! Treasure your farvorite Lake, River or Bay!